Recently we had to change the login names for around 1200 students. As part of this rename we needed to change their Novell eDirectory account and home directory. We also needed to ensure linked systems such as an LDAP authenticated Moodle site and an IDM linked Active Directory (AD) domain were properly updated. 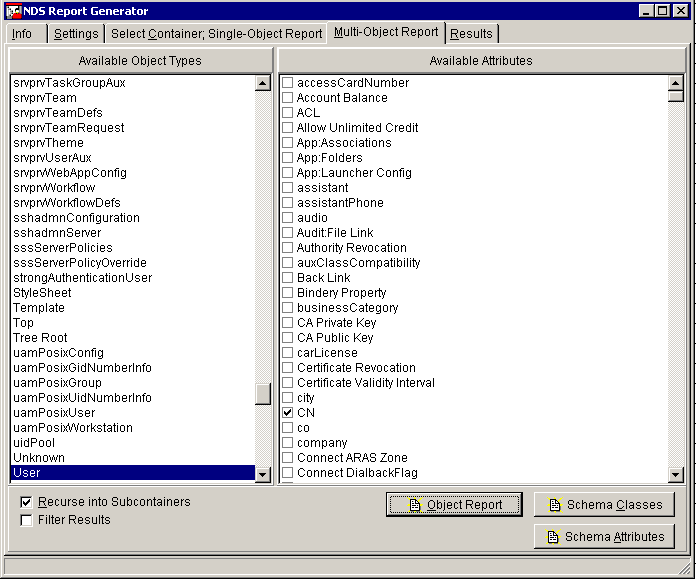 To perform the user account and folder rename we used Mass User from HBWare. This is a great program we already used for creating and managing home directories and quotas. There was a small bug in the rename area, but it was quickly fixed when brought to Hans’ attention. Note: Before beginning you need to have a list of the old usernames and the new usernames. A simple two column Excel or CSV file would be fine. 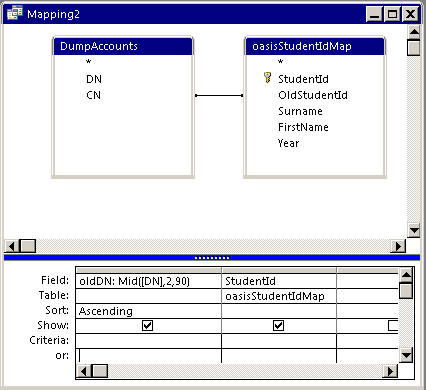 Create Mapping File: The mapping file is used by Mass User to know what to rename the existing username to. 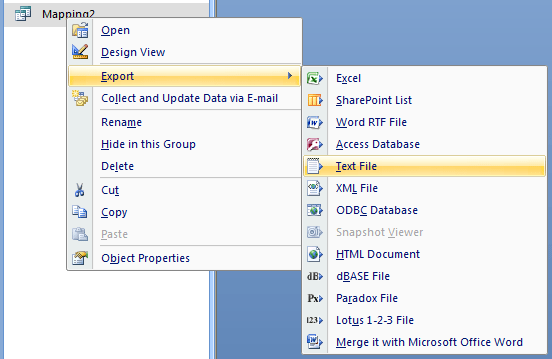 Use NDS Report ( http://www.novell.com/coolsolutions/tools/13908.html ) to create a list of all the accounts. You only want the DN and CN fields. Save this as an Excel or CSV file. Import the text / excel file that lists the old and new account names. 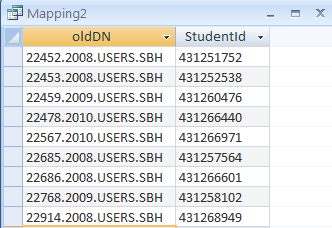 You now need to create a query that maps the cn to the old account name, and then use this to generate a list of the full old dn and the new account name. You can then export this as a text file. 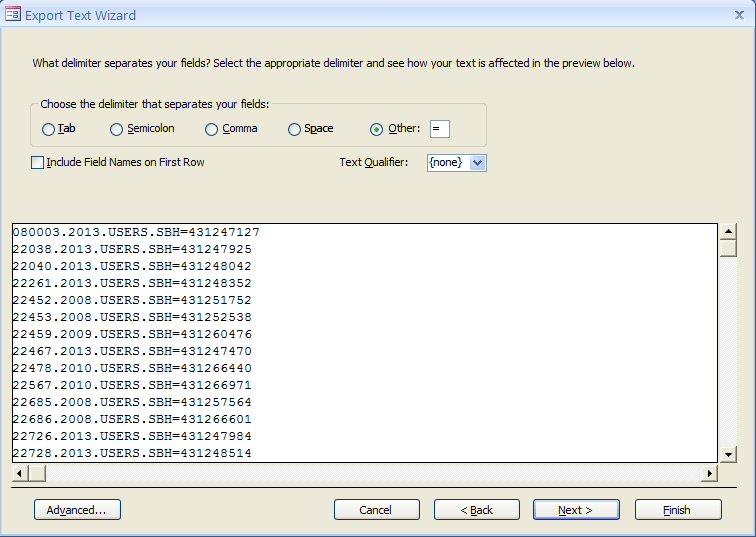 You will need to set the field separate as ‘=’ and set the test qualifier to none. Once the mapping file is generated you can apply it either to individual OUs (e.g. year groups), or to the entire Users container. I would recommend applying to small containers initially to allow checking for errors. After verifying all renames were performed correctly you can then apply the rename to your entire users’ container. Before doing the mass rename we did some simple tests of renaming eDirectory accounts to see how they replicated to Active Directory. We determined that the individual renames were successfully propagated through IDM to automatically change the pre-2000 and logon name fields to match the new eDirectory account. When performing the mass rename of accounts, AD was checked after doing each OU to check propagation was successful. We experienced no problems with IDM and all accounts were successfully synchronised with Active Directory. For Moodle we wished for users to retain their own accounts including all their settings and course information. To do this the username stored in the Moodle Database (DB) would need to be changed to the new username. First you need to import your list of old and new account names into the database. If you already have it in a separate DB on your Moodle server you can use that, otherwise it is best to just to create a new table in the Moodle DB. I used this query to check the mapping fields. 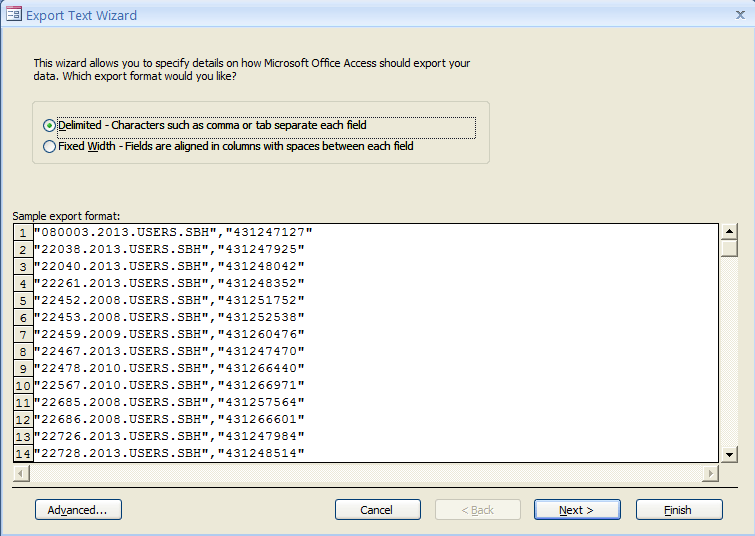 You will need to adjust the fields and collation types for your own setup. I use the IDNumber field to store the full DN, if you use a different field you will need to adjust this. # Shows the current username, the new username and the new IDNumber field for validation check. # Replaces the IDNumber field with the new username. # Replaces the mdl_user field with the new username. Note: As can be seen by the queries, during the migration I did two separate updates, one to update the IDNumber field and another to update the mdl_user field. When I had completed migration I realised I had only needed to update the mdl_user field as Moodle would automatically update the value in IDNumber at next log on. The migration to the new accounts went well with no problems from student passwords or accounts, although we had a few instances of students using the old username instead of the new one. Since performing the change we have also implemented a Papercut system which would have required the additional step of renaming all of its accounts to ensure student balances were carried across. This entry was posted in Active Directory, Moodle, Novell, Utilities and tagged account, Active Directory, Database, eDirectory, home directories, login names, Moodle, Novell, novell edirectory, Password, username, usernames. Bookmark the permalink.